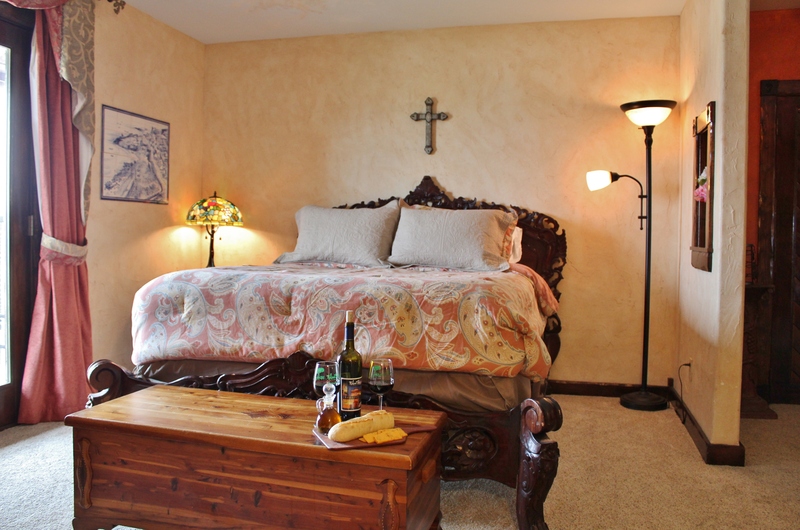 Our Tuscany Romance Suite is furnished with antiques but also contains all of the modern conveniences of today’s living for a more enjoyable stay. 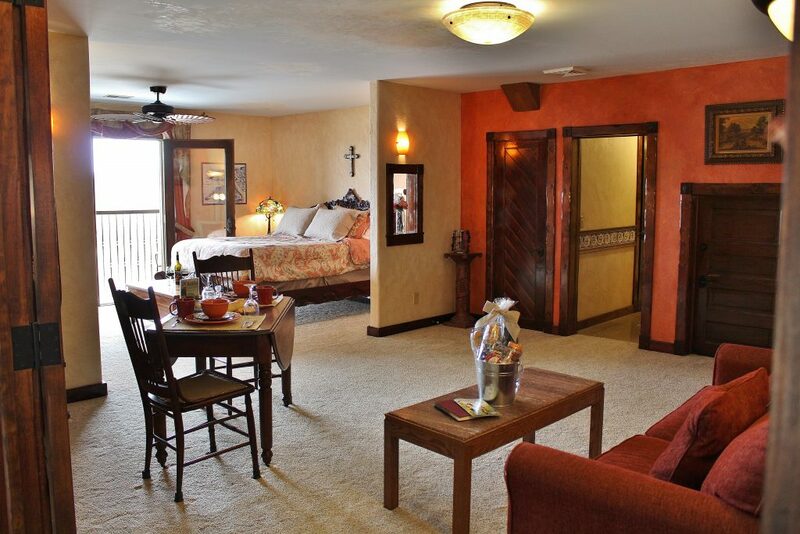 The larger of our two suites, this room is a spacious, yet elegant room that is perfect for your next getaway. 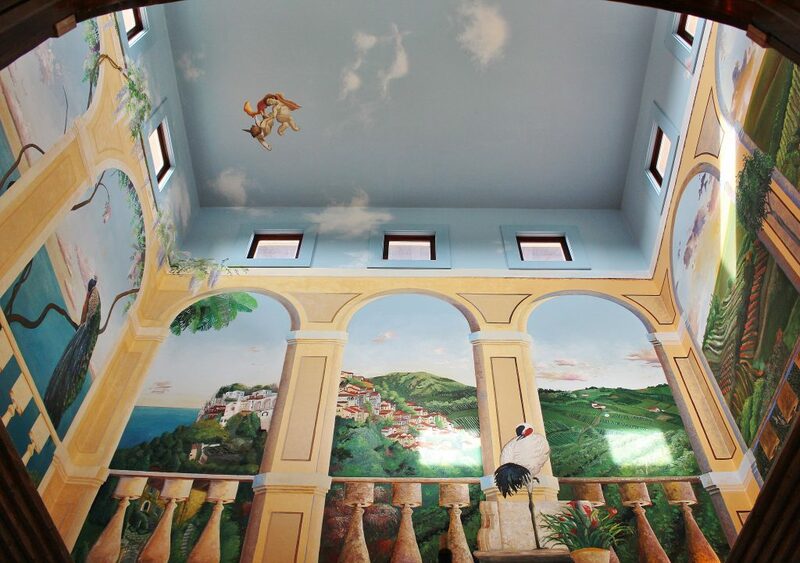 With antique accents and beautiful, locally made stained glass windows and hand-painted tiles adorning the room this suite provides an elegant sophistication. 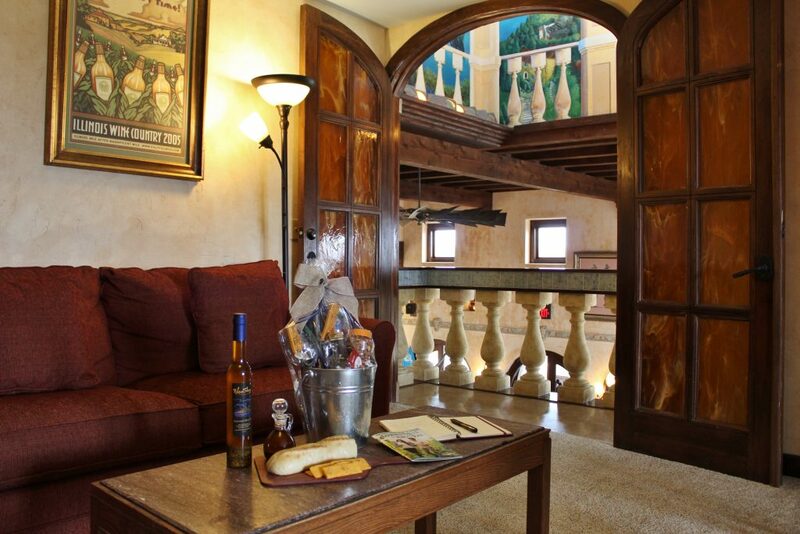 As an added bonus, our Tuscany Romance Suite includes a balcony that overlooks our wine bar with an additional balcony overlooking the rolling hills of the Shawnee National Forest. 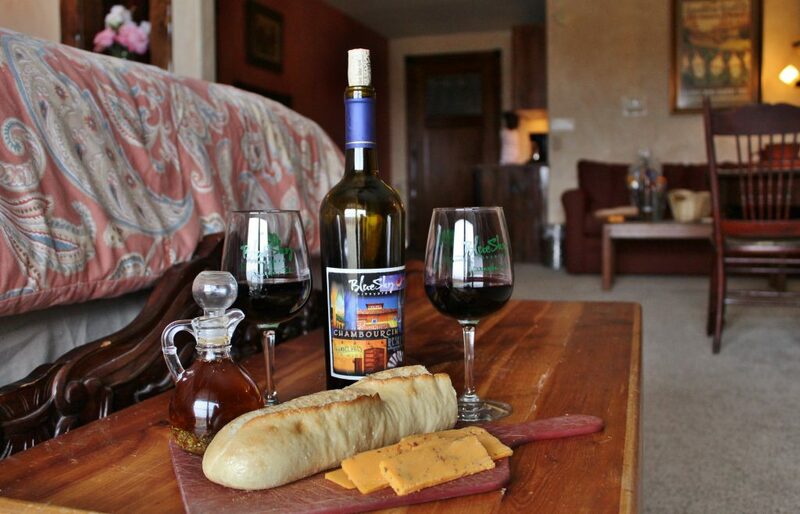 Phone, microwave, mini fridge, satellite TV and DVD player are all available in the room. Our apologies but we do not offer WiFi access at this time.